Constructed in early October, 2012, this 100 foot circumference corral trap utilizes 48" chain-link fence (buried several inches), steel line posts set on 4' centers, a spring gate and a 3/16" stainless wire rope secured with turnbuckles running the perimeter approximately 10" off the ground. Two strands of high-tensile barbed wire was also installed on the lower selvage of the fence fabric and secured to the fabric with hog rings on 6" centers. Buried in the center is corn and blueberry hog mineral feed. We disconnected the spin motor from the barrel feeder located about 70 feet from the corral. 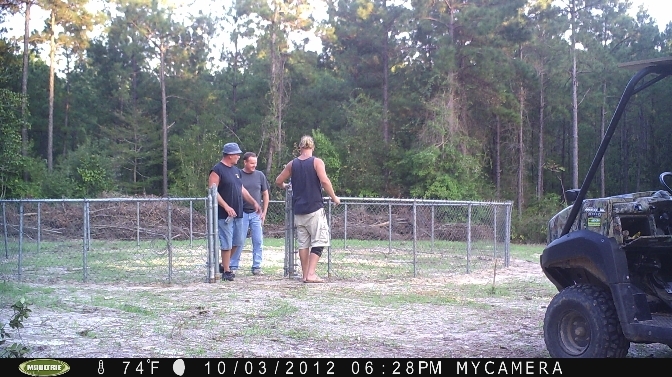 Within 4 days the hogs began working the pen area. 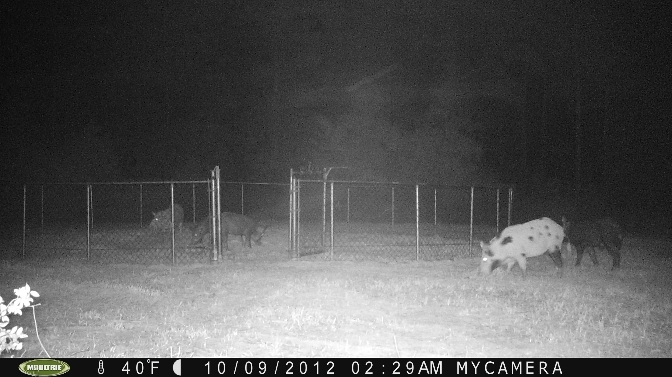 The spring gate was left open during this time to get the hogs interested. Just 5 days following the corral construction, well, you be the judge. 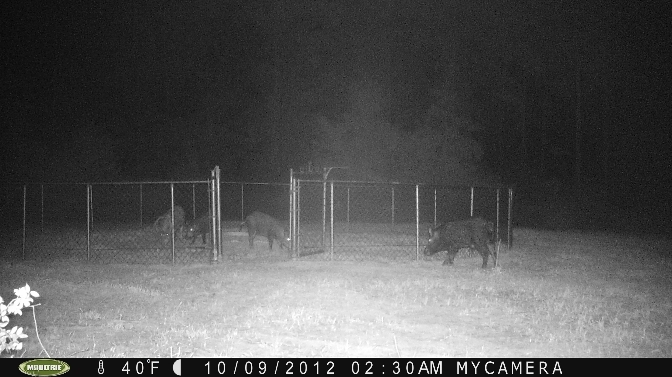 This is just a few of a pack of 12 that have been destroying food plots and consuming corn. We will leave the spring door open for another few days when we expect another cool front. Then the harvest begins! 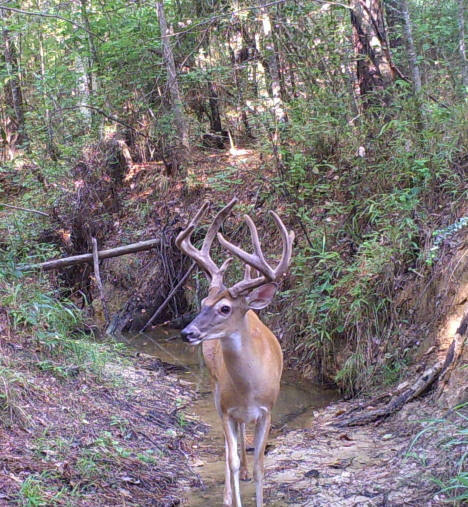 Hog harvesting protects the increasing demands of a growing and healthy deer population!